This client is HUGE, not only by filesize, but also on features. The GUI is beautiful designed, making it one of the best looking client we have seen so far. The client is currently in beta, but so far its awesome. 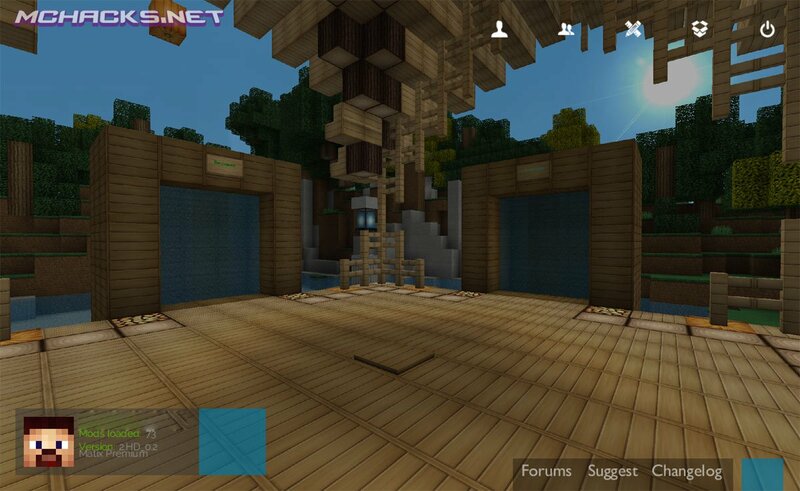 It has all the features you need like fly, Xray, nuker, PvP hacks, console commands etc. Only problem is that some of the features are not working yet (because it’s in beta). 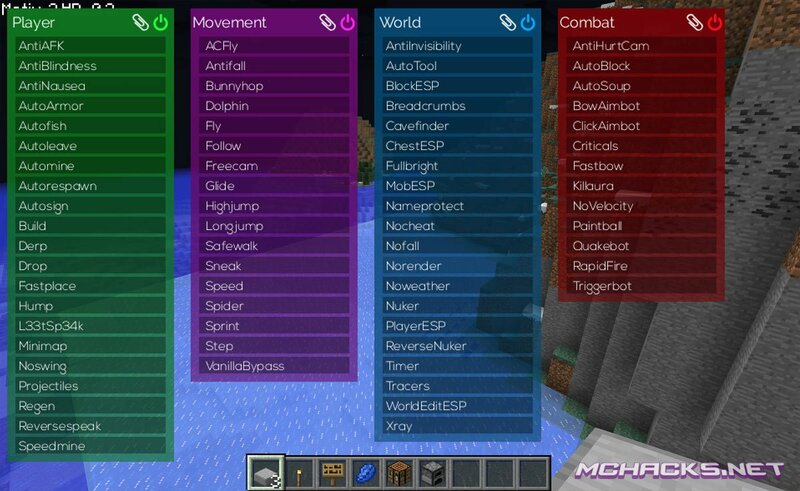 Most features works in multiplayer on servers and almost all of them in singleplayer. SafeWalk: You won’t destroy Seeds etc. Q: How do I open the GUI/Console? A: Press grave for the GUI and Y for the console. Q: I can’t open the GUI on a mac! A: You have to rebind the key for the GUI (Mac doesn’t have grave). In console: type “.keybinds set GUI [key]”. Enter the desired key where it says [key]. Q: How to use [mod name]? A: Open the console and enter “help [mod name]“. It shows the available commands for it. Q: What are the commands for [mod name]? A: Open the console and type “help [mod name]”. Q: How do i talk in IRC? A: Open Chat and type @ in front of your message. Q: How do I turn off IRC? A: Use “irc toggle” in the Console.